P.S. We have a full Kickr review coming very soon… PLUS a review of the Wahoo Elemnt Bike Computer (first impressions are seriously good!). There’s nothing quite like heading out into the great outdoors on your bike, however, sometimes this is just not possible in cold, wet weather. This is where turbo trainers come in. They are the perfect way to work out in the comfort of your own home, just attach it to the wheel of your outdoor bike and you’re off. What do you think? Read on now! Read about the quietest trainers now! Bkool review – meet Kate! Here at TBT we use a lot of turbo trainers, and we could have carried out a standard Bkool Go 2017 review just like you will see on other cycling websites. However, we wanted to do something a bit different and we feel this will be much more rewarding for you the reader. 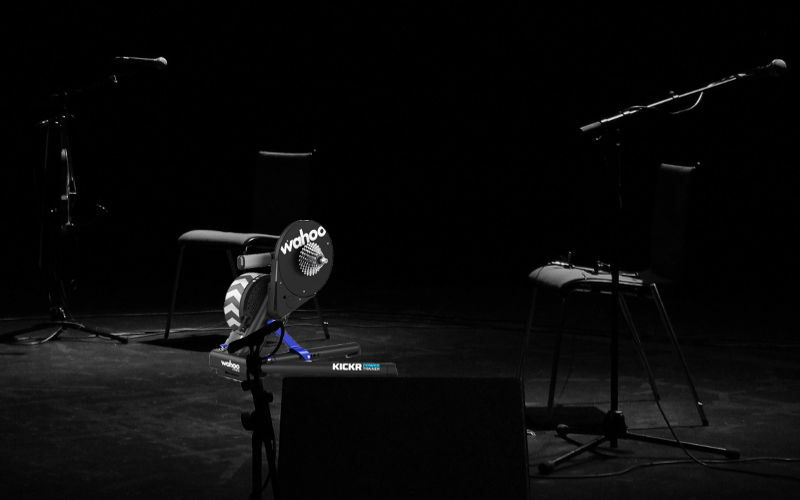 On top of this our lovely trainer user Kate will get her first taste of life on a turbo trainer. 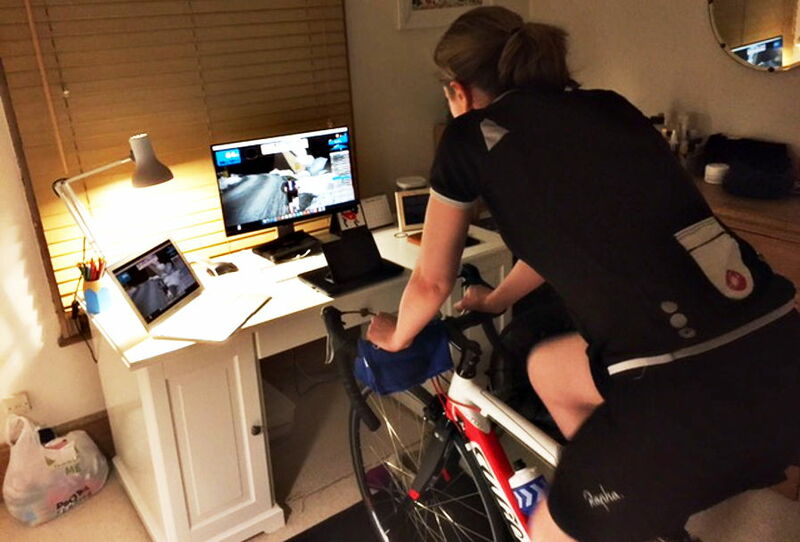 This is a terrific review for someone who is starting out in her pain cave! Read Kate’s honest review now! 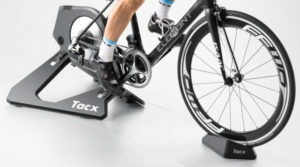 Have you ever wondered what the best high-end turbo trainer on the market is? 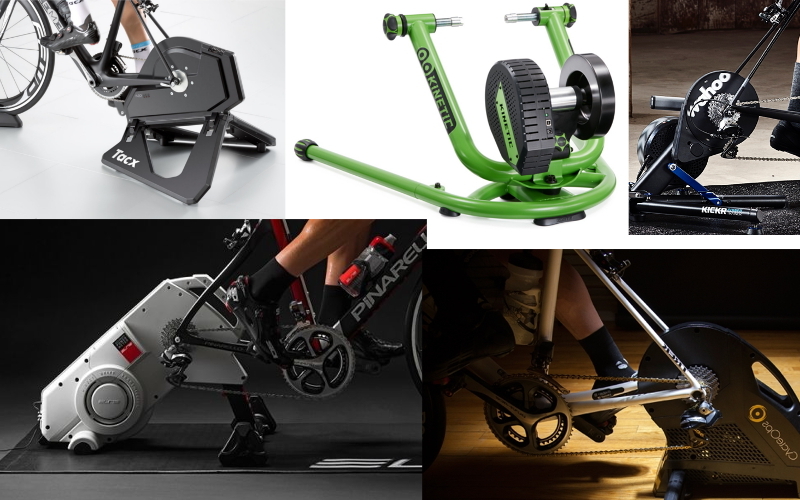 Of course, the best turbo trainer for you all depends on your own personal needs. Do you cycle in order to get fit? Or do you ride for the social aspect and enjoyment of third party games and apps? Maybe you live in a small second floor flat and need something discreet and easy to store away? Whatever you needs, we’ve got you covered. We cover five of the very best high-end turbo trainers. They cost a pretty penny but they really are state-of-the-art bits of cycling equipment. Whether you’re on the road or relaxing on your sofa, protein is a vital part of any cyclist’s diet. During a bike ride, protein slows down digestion, preventing spikes in your blood sugar. In the meantime, when you’re body is recovering, protein helps to rebuild tissue and restore your muscles (muscles need repairing because they get tiny tears in them when you are working them). 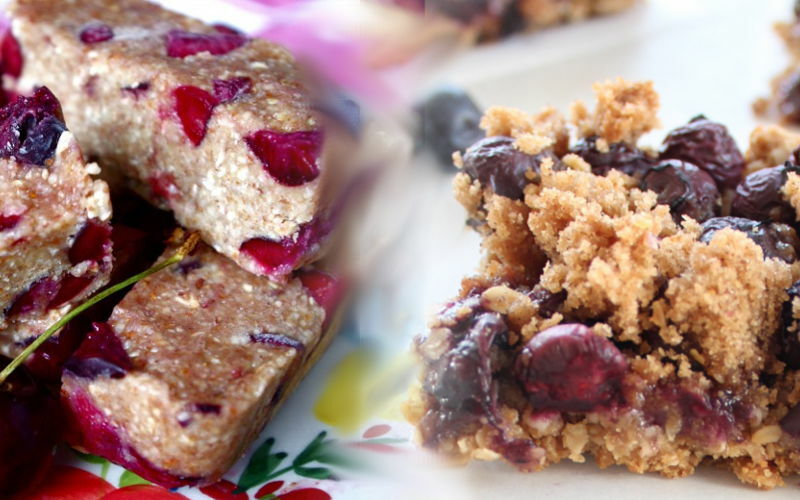 We have three super recipes for you… read on! Your three recipes are waiting here! Ride hard, have fun! Please do share with friends!